Another teaser for Five Nights at Freddy's 3 has landed, and this one gives us a look at what the game will look like in motion—and the animatronics you'll be screaming at once more. 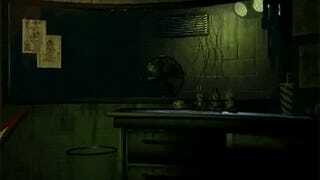 Looks like this one will be focusing on Golden Freddy. And now to await the million things that fans will pick out and make theories about from the trailer.